GRETNA – Two men who allegedly acted as representatives on behalf of a local farm and took thousands of dollars through a land deal are being sued. Churchill Farms Inc. filed suit against David M. Hansen and Samuel “Sammy” Marcello in the 24th Judicial District Court on Dec. 9. Churchill Farms Inc. alleges that in May 2002 and June 2003 Jefferson Parish expropriated two pieces of land from them for the Lake Cataouatche levee enlargement project. The plaintiff claims that in return for the land the parish deposited two sums in the amounts of $29,955 and $78,307 for the pieces of land. Churchill Farms Inc. claims that in January 2005 Hansen misrepresented himself to the court as legal counsel for them and he withdrew $31,0901.02 from the amount set aside and provided it to Marcello. The plaintiff alleges they did not give Hansen permission to remove the funds on their behalf and that he has refused to return the full amount, but did return $5,000. The defendant is accused of being liable for the amount missing from the plaintiff. The plaintiff is seeking an unspecified amount in damages. 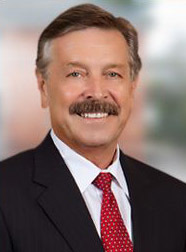 Churchill Farms Inc. is represented by Stephen J. Dwyer of Metairie-based Dwyer, Cambre & Suffern.